Learn a new language; discover new skills in areas such as teaching, building, and environmental research; discover yourself, test your limits, challenge yourself. Discover new cultures and values; step out of your box and immerse yourself in a new environment. Evaluate new ways of life and reassess your life goals. Boost your resume; consider new career paths, gain training and insight into other industries. Connect with people, create a global network of personal bonds, and build lifelong friendships. Who can volunteer with HAF? At HAF, we believe in each and every individual potentials and skills. We encourage everyone interested in making a difference, exploring new cultures and gaining hands-on career experience to join. The minimum age range for eligible volunteers or interns is 17years or older. No matter your interest, skill, studies or experience you are welcome to join in one of our programs. Our volunteer programs have different requirements but accommodate all levels of skills and experience. Yes, of course! As long as the program has not already been reserved to it's maximum capacity, the more the merrier! Depending on the size of your group, discounts may be available. We offer a variety of different projects uniquely designed to match the skills and interests of the volunteer with the objectives of the local community we serve. Whether you're working to improve education for children, enhance the quality of healthcare, assist with the care of infants and children or support sustainable microfinance to alleviate poverty, our volunteer projects are always aligned with current community needs. You can submit your application online through our website. To get started please Click here. Once your application is received, It will be carefully reviewed and process immediately. We will then contact you in 24 to 24 hours to confirm if your application has been accepted. Volunteers are required to pay a deposit of $150.00 to reserve their spot and ensure early arrangements towards your accommodation and food which has to be reserved early. (Within 14 days of your confirmation of placement). After program confirmation and deposit received, we will send you details of your placement. The placement details will include service provided by HAF, program policies and contact details to use for your visa application if required by the Embassy. HAF has a dedicated team of experts in planning, recruiting and arranging volunteer trips and are available to provide helpful information to volunteers/participants on how to go about planning their trip, choosing their projects and what is involved. What kind of food will be served at the home-base? Volunteers will be served three meals daily (breakfast, lunch and dinner), you will enjoy the delicious meals like rice and chicken, vegetables stew and yam and some Ghanaian cuisine like fufu and soup, banku and okra stew. Vegetarian options and fresh fruits are regularly available at all Home-Bases and our host-family is happy to accommodate for any dietary restriction. What vaccination is required for my trip? 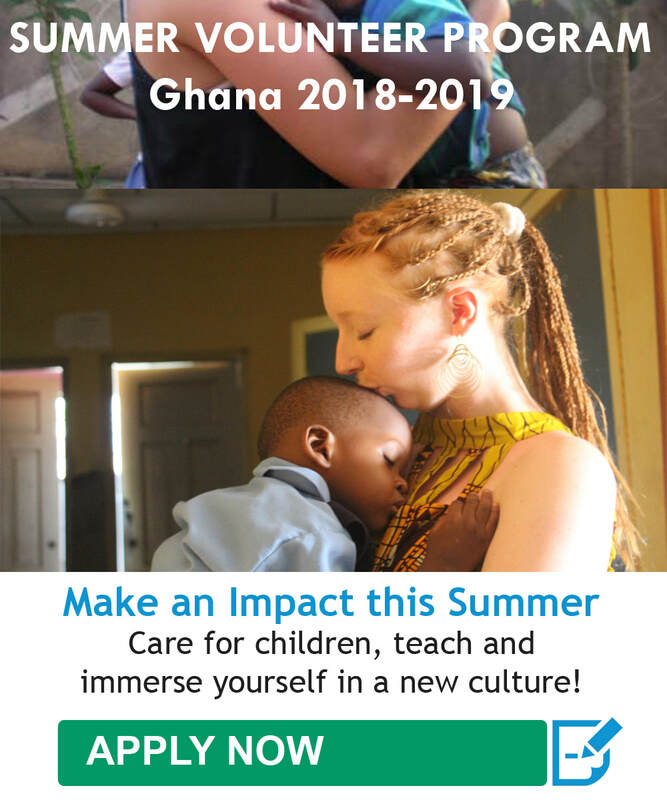 All volunteers are required to obtain recommended vaccinations before their trip to Ghana. The following vaccines might be recommended for travel to Ghana. Typhoid Yellow Fever - a certificate of yellow fever vaccination may be required for entry into Ghana. What type of visa is required for my trip? Though volunteers can get a visa to enter Ghana, we strongly advise volunteers get a tourist visa in their home country before departure. This will save you the time and hassle of filling forms on arrival. Before your entry to Ghana, volunteers may need to obtain the following vaccinations and medications for vaccine-preventable diseases and other diseases you might be at risk for at your destination: (Note: Your doctor or health-care provider will determine what you will need, depending on factors such as your health and immunization history, areas of the country you will be visiting, and planned activities. To have the most benefit, see a health-care provider at least 4–6 weeks before your trip to allow time for your vaccines to take effect and to start taking medicine to prevent malaria, if you need it. Even if you have less than 4 weeks before you leave, you should still see a health-care provider for needed vaccines, anti-malaria drugs and other medications and information about how to protect yourself from illness and injury while traveling. Where do I stay during the program? HAF provides clean, decent and safe accommodation for our volunteers. Our accommodation is situated in Nungua on the outskirt of Accra, Ghana’s capital and Akuapim Hill in Eastern Ghana. Volunteer will stay with our host family in a housing consists of a comfortable rooms in a safe, conveniently located neighborhood, clean and fenced. Lodging arrangements consist of modern toilet facility and running water. Volunteer will either stay alone or share a room with other volunteers. What does program fee covers? All volunteers are required to pay a fee to covering basic daily need's. Program fee paid covers the following services: Airport pick up, accommodation (home-base), 3 meals daily (both local and continental), orientation, in-country 24/7 volunteer support, administration cost and project donation. What is not included in program fee? HAF does not charge volunteers to join our programs, however we only require volunteer and interns to pay a fee to cover all living arrangements and program needs including accommodation, meals, utilities, airport pickups, program donations and registration as needed per program. HAF program fees are significantly less than the fees charged by other such companies. HAF does not provide a total refund policy. If participant cancels their program within 60 days prior to start date, participant will be refund with 50% of the program fee only. There is no refund for cancellation within 30 days of program to start date. All volunteers/interns are to re-check all their needed documentation prior to departure. All volunteers/interns entering Ghana must be in possession of a valid passport or Travel documents establishing the identity of the holder. Travel Documents include vaccination certificates and other travel documents issued by International Agencies recognized by the Government of Ghana. You will be required to obtain a visa from nearest Ghanaian Representation (Embassy, Consulate or High Commission) in your countries country. Where Ghana has no Consular or Diplomatic representation, an application for Entry Visa may be made to the nearest Diplomatic Mission or Consulate authorized by the Government of Ghana.